You can identify successful anglers by the time they need to get their lure and stuff ready to hand. Thanks to this handy, compact frontloader soft plastic lure bag with “Full Shock Protection” you will also be ready to fish in short time. 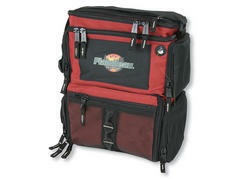 Convenient to carry by hand or flicked over the shoulder! This handy, very compact soft plastic lure bag with “Full Shock Protection” is ideally suited to carry all necessary lures and stuff without being handicapped by too heavy weights during the “endurance sport” spin fishing. A smart choice for ambitious predator anglers. 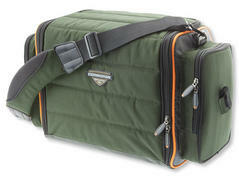 This bag is perfect, if you have many things to store. 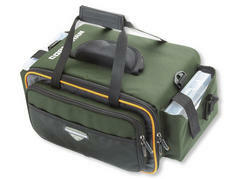 The combination of timeless design and a handy construction provides this padded sideloader soft plastic lure bag including “Full Shock Protection” with an unique character. 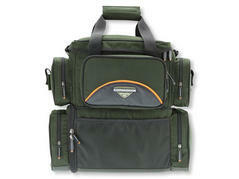 Perfect organization within the rucksack and a pleasant carrying comfort care for more fishing fun. 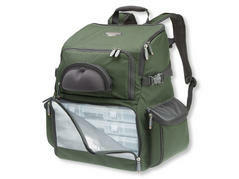 The especially developed rucksack for soft plastic lures offers enough space for all necessary stuff. The adjustable, ventilated and thickly padded carrying straps ensure a comfortable carrying even when the rucksack is fully loaded. 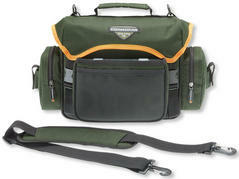 The perfect and established fishing bag system.